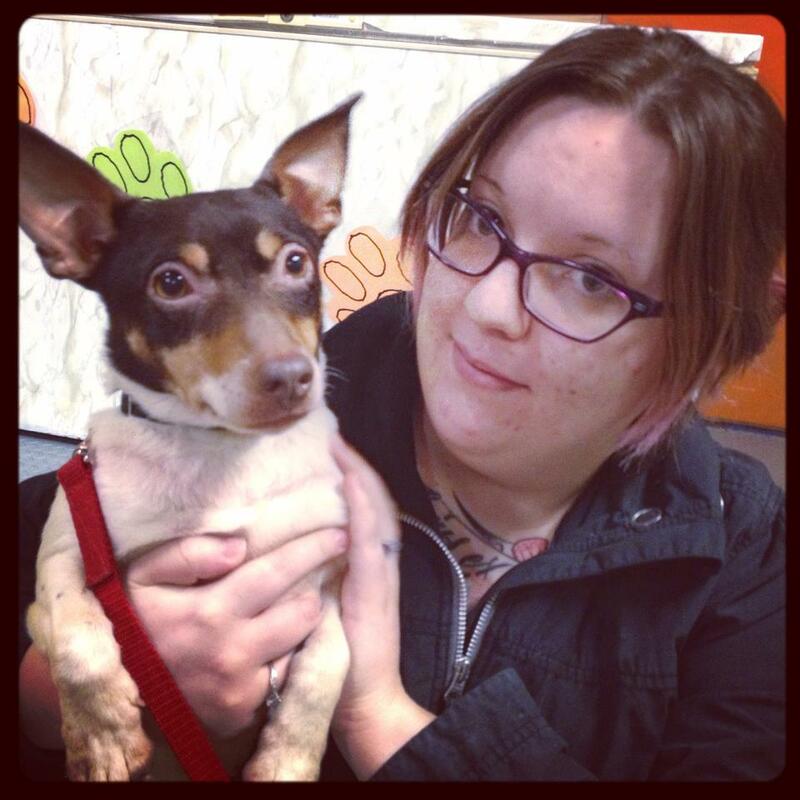 My name is Samantha-Jeanne and I would like to introduce you to my Service Dog, Toki(Doki). I acquired Toki; a 6-year-old Rat Terrier, 2 months ago from Just in Time Rescue in Barrie, Ontario. She came from a hoarding situation in Ohio and was under socialized and needed proper training. I can say that I could not have chosen a better dog to become my assistant and friend. She has picked up her training like a breeze and is happy to work with me everyday. For only having her 2 months; she has come so far and continues to amaze me! As someone who struggle with PTSD, Chronic Pain and Social Anxiety I always found myself having trouble leaving my house and interacting with people. I constantly was on edge and afraid something may happen to me at any moment. After researching and weighing the options; I decided to get a Service Dog. It honestly was the best decision I have ever made! Toki is always there to keep me grounded, alert and aware of my surroundings as I tend to nod off into a daze. She is there to help me when my anxiety is too much for me to handle and provides me with comfort. Also, she provides a barrier between myself and others in uncomfortable situations. She will even steer me to an exit when I need out of a place quickly. I have created this blog because I have come to realize that a lot of people in society actually are not educated on Service Dogs or the laws that come with them. I would like to share my experience with people and make light of situations I have been put into. I may even tell you some stories with a sense of humor; because it’s the best way to think of the negative. I am hoping I will make a difference in how Service Dogs are received in society and even connect with other Service Dog owners!